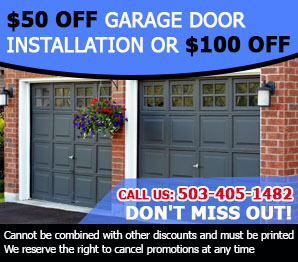 Our company maintains the best garage door service in the Canby Area. Most of our customers call us to help them fix garage springs. The two most common springs that we fix are extension spring and torsion spring. We can either repair these types of springs or we can help you with replacement. Our company also provides garage door opener services. For this service, we use only the most trusted brands like Genie, Chamberlain, Liftmaster, Craftsman, Sears and Marantec. Garage door opener uses one of the three basic types of drives. These drives are the belt drive, screw and chain. These will determine the noise that your garage door will make while lifting and lowering down. If you want your garage door to produce minimal noise, use the more expensive type of drives. If you do not mind the noise that your garage door might make, then you can use the cheaper types. These door openers work better when you have remote system. We can help you in the installation of garage door remote system. We also use the best brands for this service. These brands include Liftmaster Security +, Clicker, Genie Intellicode and Multicode. If you need to replace or install a new garage door, then we could definitely help you. We have experienced technicians who specialize in installation and replacement of different garage doors. They work very fast and efficient to make sure that clients are satisfied. Our garage doors vary in types. We offer garage doors made from wood, steel, aluminum, and glass. We also offer Craftsman garage doors. We also help in the adjustment, maintenance and repair of your garage doors. We can offer you a regular schedule of lubricating your garage door especially if you are too busy to do it. Lubrication can help maintain the efficient operation of your garage door. In garage door repair; we specialize in garage door cable and garage door track. These parts of your garage door are very vulnerable so they may break easily. Our experienced technicians can assist you cable repair so that your garage door will function properly. They can also repair a bent garage door or replace it when it is broken. We also offer garage door repair services in the following: bottom garage door rubber, broken emergency door release, weather strip, door off track, and replace garage door panel, and many more. 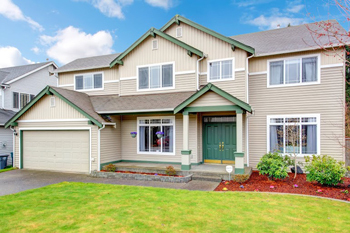 At Garage Door Company Canby we value our client’s satisfaction thus we offer only the best technicians in town, best materials available and best installation, repair and replacement services for your garage doors.